'I'm optimistic.' Marc Zell, chief of Republicans Overseas Israel, says GOP poised to expand majority in Senate, could keep House. Two days before American voters head to the polls for this year’s mid-term elections, there are growing signs the long-awaited ‘Blue Wave’ could fail to materialize, says the leader of the Republican Party’s overseas office in Israel. A US-born attorney now living in Gush Etzion south of Jerusalem, Marc Zell, 65, is Vice President of Republicans Overseas, and chief of Republicans Overseas Israel. “I’m very enthusiastic,” Zell told Arutz Sheva Sunday. Zell said that despite a long history of losses for the governing party in mid-term elections, enthusiasm for President Trump among the Republican base, coupled with a difficult Senate map for Democrats, could result in a surprisingly good night for the GOP on Tuesday. "When it comes to mid-term elections, the traditional wisdom in the United States is the party in power loses seats in both the Senate and the House. Because the difference between Republicans in the Senate, for example, is only two seats, it would be very easy to think that Republicans would lose the Senate,” Zell told Arutz Sheva. "In fact, according to all what we're seeing the polls... it looks like the Republicans are actually going to increase their representation the Senate by two, three, five seats or even more." While the Republicans face a steeper climb in the lower chamber of Congress in their battle to secure a 218-seat majority in the 435-seat House, Zell said the White House was predicting the GOP would maintain control – albeit by a far slimmer margin than the 241 to 194 margin won in 2016. "The big problem is the House of Representatives. The House of Representatives is being elected - all 435 seats - in this election. Six months ago, everybody believed that the Democrats would just walk over the Republicans and take the House of Representatives. That's no longer the case. Even Democrats admit that the race is extremely close. They need 30 seats to take the House. It's not clear that they're going to get that. There's even a chance the Republicans could not only hold on, but hold on with more than one or two seats. "I was at the White House about two weeks ago, and they thought that they'd be able to hold the House by at least one or two seats. Or we could lose it. It is not clear. "I'm very optimistic, because I'm looking at the reaction of the American public to this president. He's hold rallies all over the United States. 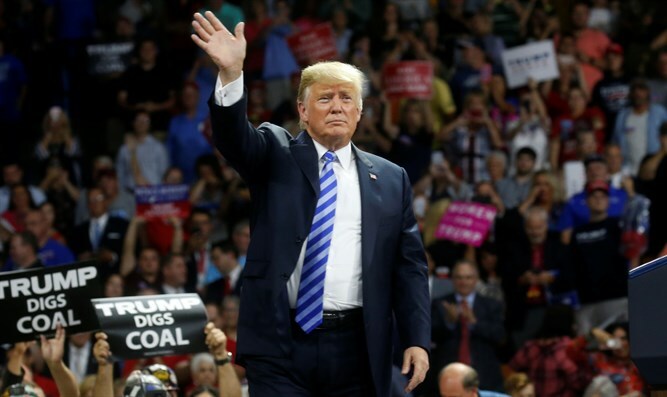 He and the Vice President are going out every single day - two, three rallies a day, from one coast to the next... and the response of the public has been even greater this year than it was in 2016. Tremendous amount of enthusiasm... In 2016 I said, 'Look at that, that's an indication of where the public is. Don't look at these polls so much.' I say again, look at these rallies, because they tell you something about where the hearts and minds of Americans are in these mid term elections. That's why I'm optimistic."